If you’re interested in color but don’t know where to turn for inspiration, don’t worry. The experts from Pantone can tell you each year which color will be trending. In fact, their pick for 2019 should be announced any day now—so you’ll be able to find out what color will be “hot” next year and that you’ll see in any number of industries and products, from automobiles to fashion to window treatments. At Georgia Blinds & Interiors here in Atlanta, we thought it’d be fun to take a look down memory lane at some of the past Colors of the Year, just to get thinking about what might be in store for us very soon. Read on to learn more! 2014: Radiant Orchid. A striking combination of purple and pink, this saturated hue of is best used as an accent color against neutrals ranging from frosty whites to silvery greys. 2018: Ultra Violet. Offering originality, Ultra Violet is provocative and visionary. Long a symbol of unconventionality, Ultra Violet has always been considered a mystical or spiritual color. The Institute’s next prediction should be announced soon, and we’ll be sure to post it in our blog as soon as we hear. Stay tuned! 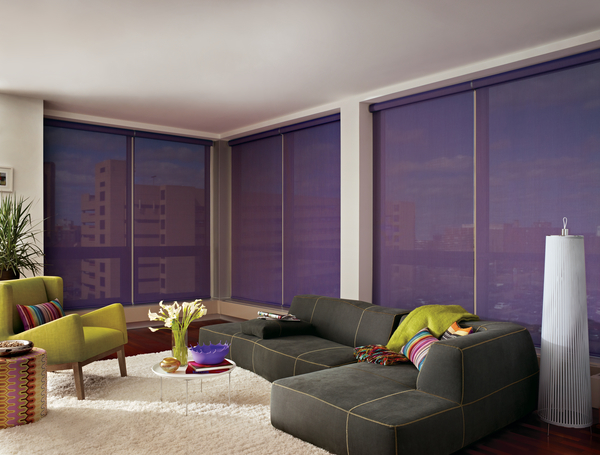 One of our greatest assets is our window coverings showroom. Begin your project with a visit to our showroom to see over 50 working product samples and discover the available operating systems, design styles, and fabric opacity options. Our team of certified and well-trained window covering professionals will show you various window coverings that fit your criteria. Then we will bring the samples to your home to assist you with your final selection, measure for proper fit, and present you with a quote.